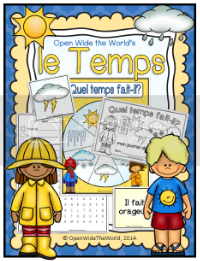 Quel temps fait-il chez vous? and a FREEBIE! First we almost get frozen out of Europe and my sister's wedding. Now we're back home with more unseasonably cold and wet weather. We thought we'd be at the pool by now. Ugh. What a spring. Feeling a little stir crazy and anxious for summer to begin, it seemed a good time for Mag to have a SUMMER-themed coloring/language sheet. You know how I love colors for introducing languages. So easy and fun! These coloring sheets are available for FREE download at my TpT store. 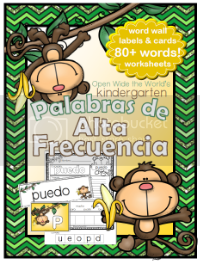 The download contains SPANISH, FRENCH, GERMAN, JAPANESE, and ENGLISH sheets. I hope these help you and your little language learners get in the mood for summer, no matter what weather you're having! Enjoy! 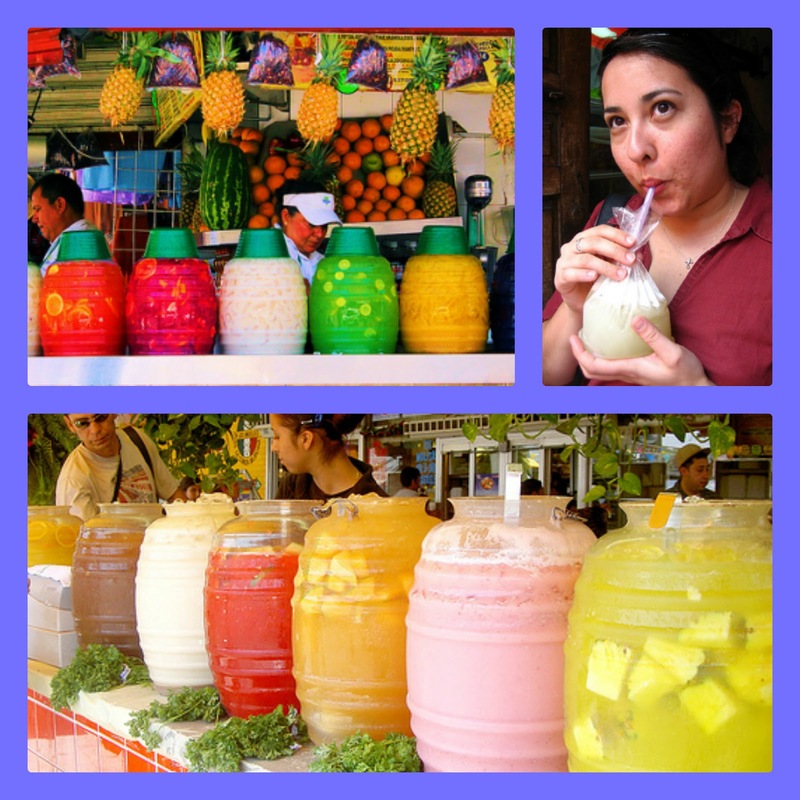 A recent e-exchange with Becky at Kid World Citizen brought to mind a refreshing memory of my times in Mexico: aguas frescas. Spanish for "fresh water," an agua fresca drink is simply the combination of pureed fruit, water, some sugar, and a little lime. And in the Mexican heat, soooo refreshing! While you'll see aguas frescas displayed in beautiful glass jars, don't be surprised if yours is served to you in a plastic bag tied around a straw, especially if bought from a street vendor or small neighborhood shop. Yep, that's how it's done in Mexico, Central America, and even the Philippines... and perhaps elsewhere that I've not visited. This allows the vendor to hang onto the all important bottle deposit... unfortunately with little regard for the additional waste. But a fun and quirky travel experience nonetheless! Ready to ditch the All-American powdered soft drink and try a healthier, more natural thirst quencher? Puree 2 CUPS of strawberries and 3 CUPS of water. Strain the puree through cheesecloth or a mesh sieve, being sure to collect the liquid, as that is the part you need for the drink! Refrigerate for several hours; serve well chilled. Have fun experimenting with different fruits, more/less lime and sugar, different fruit-to-water ratios, even adding a sprig of mint, depending on your preferences. The options are limitless! And you? Any favorite refreshers from your travels? I do know correct grammar. Really, I do. But I assure you, I do know correct grammar. In fact, grammar was often the focus of dinnertime discussion when I was growing up. Really. And it continues to be analyzed for fun (really!) in our family to this day. This could be my parents' uniform! to embrace the living language of social media? 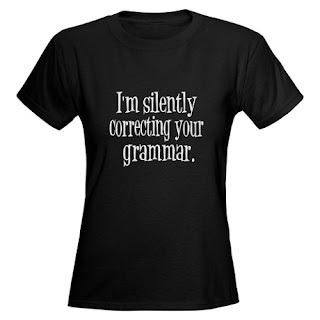 Hey Fellow Grammar Lovers: the T-shirt is available from amazon and cafepress. Cafepress also has mugs and other fun little gifties with this same message. I might just have my family's Christmas shopping in the bag -pardon the pun- with this one! 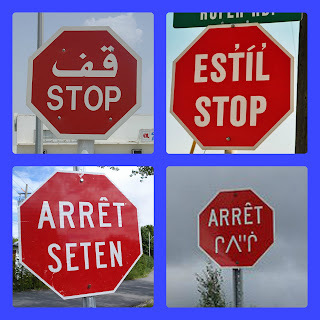 Hey Bilinguals! Did you know...? Okay, so we all intuitively know that exposure to another language is a good thing. We're even pretty sure that we've seen a study or two showing that bilingual kids score better on general aptitude tests than their peers. Bilingualism is linked to neural efficiency in older adults! Yep, it's true! The Journal of Neuroscience published a study earlier this year showing that lifelong bilingualism can help preserve cognitive strength in aging. 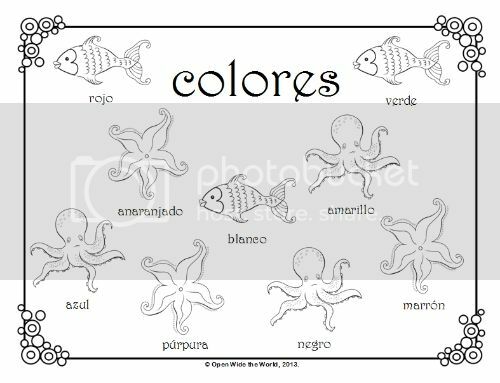 Participants, young and old, monolingual and bilingual, performed various attention-switching tasks, such as quickly sorting colors and shapes, while being monitored by fMRI. Imaging showed that the brains of the monolingual seniors worked harder to complete tasks, while the bilingual seniors' brains were much more efficient, more like those of young adults. Neuroscientists think that these differences in brain usage help bilinguals compensate for age-related declines in thinking and memory, and may even protect against losses caused by Alzheimer's and other forms of dementia. Those of us who are not lifelong bilinguals, or we later language learners who are not fully bilingual, can we hope that our brains might see these same benefits, albeit to a lesser degree, as we age? That will be the focus of future research of this study's lead author, Brian Gold of the University of Kentucky College of Medicine. While we're waiting for those future results, might as well dust off your Rosetta Stone collection, have your passport at the ready, and do your best to keep your brain young and healthy! Who's with me? We are not a family that limits app downloads exclusively to educational games... but I sure do appreciate when a game is not merely for fun, but educational, too. Such is the case with "Stack the Countries" (lite). Cute, fun, engaging, AND educational. Yay! "Stack the Countries" is listed for ages 4+. While I imagine it might be best for 8+, due to the degree of world knowledge and reading required, Mag actually loves it at age 5! Most often, I read the questions to her, and she asks for hints for the correct response... but even that M.O. fosters great world awareness. She is getting exposure to names of countries, visualizing their relative sizes, and hearing facts about each... even remembering many international landmarks, like The Great Wall of China and Ayers Rock. Not bad for a free app! 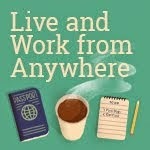 CONTROL YOUR OWN EXPERIENCE: You can choose to focus on just one specific continent or play the whole world. You can also select which types of questions are asked. Love it! Love it! Love it! HT to Becky at KidWorldCitizen for the heads up on this great app! And you? Any great, FREE world apps to recommend? Despite already being back home for several weeks, we're only now finding the time to go through all the digital thumbnails of our Europe pictures. (At 900+, it is a daunting task!) 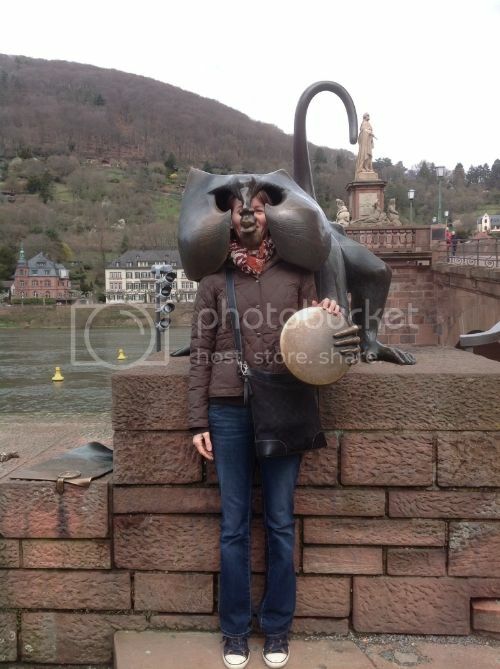 In doing so, I was reminded of a funny statue we stumbled upon in Heidelberg, Germany. Remember when we were discussing good luck superstitions from around the world, and all the -ahem- "body parts" of various statues that get rubbed for good luck? Well, upon arriving in Heidelberg, unpacking our bags, and looking out our window onto the Neckar River, we found hordes of tourists surrounding a strange looking statue. And they appeared to be somehow getting inside of it. What on earth was this thing? And why was everyone so fascinated by it? We eventually learned that our beloved neighborhood brass icon is "der Brückenaff," or "the bridge ape." It is said that those who rub his outstretched fingers will return to Heidelberg, touching his mirror brings wealth, and touching the nearby brass mice ensures many offspring. As best as I can recall from our walking tour of the city (we're crazy for walking tours, btw! ), there has always been a monkey on the bridge in this location, although not this monkey or this present-day bridge. (The bridge has been rebuilt 9 times after loss to various floods over the centuries.) The original Brückenaff was placed and oriented to make a political statement, a sort of middle finger to... someone... if only I could remember to whom. Today's monkey continues to make a statement to the world. A placard next to him says, something like, "Why are you looking at me? Haven't you seen the monkey in Heidelberg? Look around and you will probably see - more monkeys like me!" Another popular translation is less literal, but perhaps more accurate in intended meaning: "As you look at me, don't laugh too quickly because if you were to look at humanity, or even into a mirror, you might see something as funny as I am." Well said, der Brückenaff. Well said. Now when can I cash in on my finger rub? Have you run into any funny statue superstitions in your travels? It's time! The 2-day Teacher Appreciation SALE on TpT! Teachers Pay Teachers is hosting a site-wide sale, up to 28% off!!! Many, many teachers & therapists will be offering 20% off our products, and TpT will offer an additional 10% off every order with the use of promo code TAD13. Yay! I have been scouring the shops and wish-listing my favorite items for days, and will be clearing out that wish list (a.k.a. shopping!) first thing tomorrow!!! Not a member of TpT yet? Sign up here to take advantage of this sale, the 80,000+ freebies available everyday, and millions of teacher- and therapist-created, tried and true resources all in one place! Thank you, teachers, for all you do! Leading up to Kodomo no Hi, Japan's "Children's Day," our activities have been very Japan-centric this week. (See coloring sheets and koinobori.) But what good are activities without a few books, right? The artwork alone makes this book! Influences of Sacramento-based, native Japanese illustrator, Sachiko Yoshikawa's dual-cultural background are evident in the bold and engaging images. More importantly, the story has an important lesson about gratitude and greed that will be appreciated even by young listeners in the target 4-7 year old range. Have you ever noticed a little statue of a cat in an Asian restaurant or grocery, a cat with one paw lifted up by its head? That figurine has its basis in a Japanese folktale, retold in this storybook. What I love about this book is the opportunity for "text-to-self"-type connection (all the rage with elementary teachers, right?) that can occur after its reading. I am sure from this time forward, Mag will always notice the beckoning cat figurines. I see many future opportunities for her re-telling of this story! The story itself is fairly simple, with no real moral or lesson, and the artwork is just average. Nonetheless, I recommend The Beckoning Cat for the exposure it offers to another culture, and for the opportunities to connect the book to a symbol that is often seen in one's dining and shopping milieus (assuming you eat and/or shop in Asian establishments from time to time). So there you have it, our two new favorite Japanese-ish storybooks. 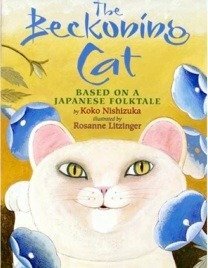 Any great books from or about Japan to recommend? In Kürze (German = coming soon): Take Me Out to the Yakyu, our very favorite book about Japan! 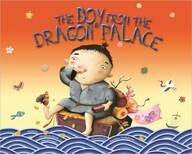 This week leading up to Kodomo no Hi has felt like a mini adventure. 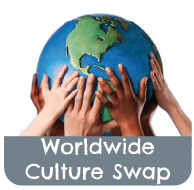 In the past, our cultural activities have primarily been Western-focused, with a little Philippines mixed in here and there. Spending some time getting to know more about Japan has been far more exciting than I would have guessed. It's not that France and Germany aren't exciting; it's just that they're so familiar. Learning about a country that is completely foreign to us feels like meeting the World all over again. Love it! So what's next, after our Japanese color fun? Koinobori, the koi-shaped windsocks! While we didn't follow the traditional color scheme (that I mentioned here), we did make our own construction paper koinobori, which we will display outside on Kodomo no Hi. I understand that in Japan, koinobori might be flown for weeks, but the Midwestern spring weather has kept ours safely locked indoors until the big day. 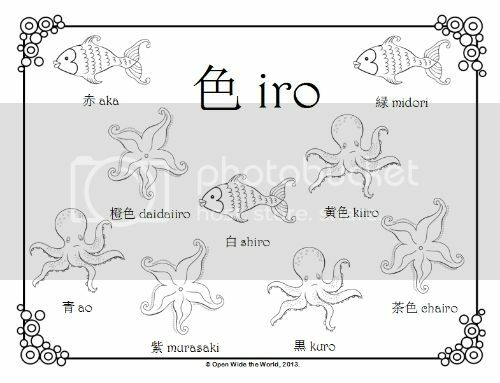 Anyone else celebrating Kodomo no Hi with their students or children? On verra. = (French) We'll see.